At exactly 8 p.m. ET today, the Budweiser MLB Opening Day Holiday Petition with Ozzie Smith campaign reached its goal of 100,000 signatures within 30 days. 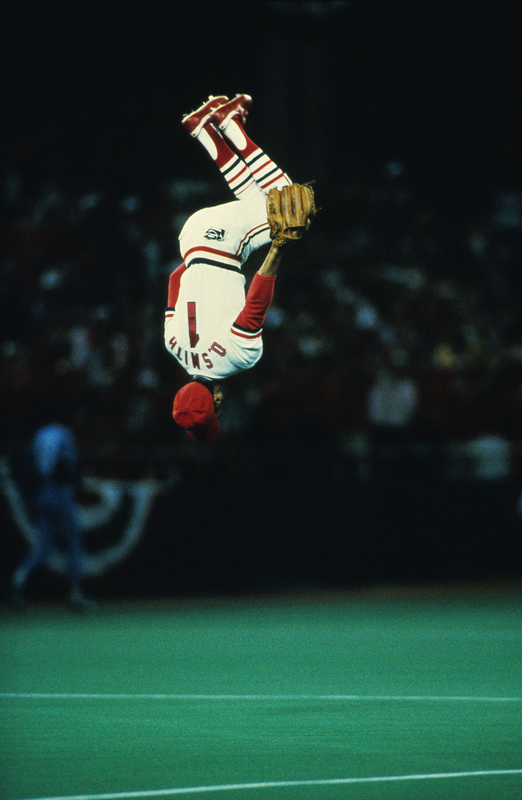 Fittingly enough it happened on this special Ozzie Day, meaning Budweiser and the Cardinals legend will be taking a big next step, soon requiring Administration response. Toasts could be in order. This MLB Opening Day is March 31, and the hope behind the campaign is that it will be a day of national observance via presidential proclamation. It is ironic that The Wizard of Oz has been asking fans for their signatures around Opening Day, because for so many years the opposite was famously true. Every club’s Opening Day is special, and the tradition around Busch Stadium is rich with memories of Anheuser Busch Clydesdales entering from the outfield and the warning track parade of players in automobiles. Smith was there for many years as a player, and when you think of him on Opening Day, here’s another signature you think of: The signature backflip as went out on the artificial turf to take his customary position at short. Watch this video as Smith tells how it all began . . . So here we are now, just ONE day away from the official beginning of another regular season. It gets underway with the historic MLB Opening Series between the Dodgers and D-backs at the Sydney Cricket Grounds in Australia. You can watch it live out-of-market on MLB.TV and via the MLB.com At Bat app. The first game starts at 4 a.m. ET on Saturday, and the second game starts at 10 p.m. ET on Saturday. So plan your own schedule accordingly, watch for the Administration’s response to a completed petition, and get ready for some baseball again, maybe even the beginning of a classic career like the Wizard’s. Shoulda been Pee Wee Reese. rowsers and I must ssay this blog loads a lot quicker then most. this this web site conations truly nice funny data too. That is a gpod tip especially to those fresh to the blogosphere.